Course Preferences - Edit your preferred display name. Navigation - Jump quickly to another area in the Moodle course. 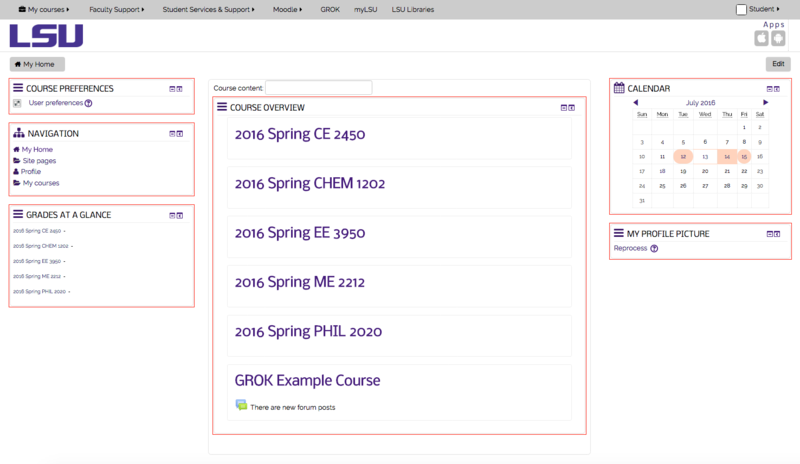 Grades At A Glance - See a quick overview of grade averages from courses you are enrolled in. Course Overview - List of Courses that you are currently enrolled in. Calendar - This is a Customized Block that can be added to your Moodle desktop. My Profile Picture - Manage and Reprocess your profile picture from this Customizable Block. Using the Chat features in Moodle: 1. Click on the Chat link on the course page in Moodle. Moodle 3: How Do I Log In?